> > Well I believe it is you who do not understand. Their dominance is in manufacturing. > > absolutely not x86 dominated, and are actually notoriously adverse to change. > Well, not *that* adverse to change. In fact RISC/UNIX servers are *far* more resistant than the Android market. > software has made it much easier to switch to a different ISA. None of them had the correct volume/profit ratios, it's not a real mystery. It's not a magical "intel manufacturing advantage steamrolls everything" effect. It is "intel has been the best at competing in, and has the best manufacturing technology to suit large volumes". Besides, they were also significantly competing against Intel x86. > > > other markets. You have a different opinion, evidently. We'll see. > > Neither did they apply in the server market. > days it's fine on ARM and just about anything else). These all took over from entrenched RISC/UNIX, though. > > in order to reduce the variable costs. Server market has this property. > in the hundreds of millions - so that's a bigger driver of manufacturing volume. I keep repeating to you: revenues. 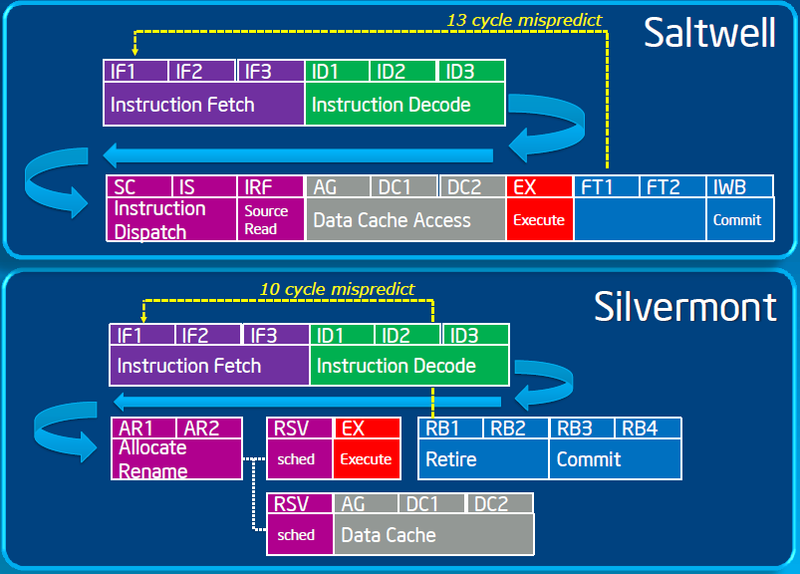 Intel doesn't give a crap about microcontroller market that ships billions of devices. Yes, I keep repeating myself. If the market changes and smartphone becomes significantly high volume and high revenue to matter for Intel, then they will be competitive there and entry to ARM market really is not as big a problem as you're trying to make out.